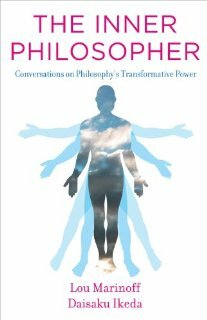 In the 16 spirited conversations comprising this volume, authors Lou Marinoff and Daisaku Ikeda revive and celebrate philosophy as an accessible source of wisdom and courage for everyone. For Marinoff and Ikeda, the philosophies of Shakyamuni Buddha, Lao Tzu, Confucius, Aristotle, and Socrates are as relevant now as when first articulated more than 2,000 years ago. They are motivated by the conviction that philosophy should do nothing less than help draw forth an inner strength to face and surpass life�s inevitable hardships and challenges �- showing here that wisdom is never out of reach and opportunities for positive transformation are many.